I made a decision for the summer. I’m going to take a break with shellac and have a little fun with color for the next few months by doing my own manicures. This means I need to stock up on some bright colors that POP for the season. 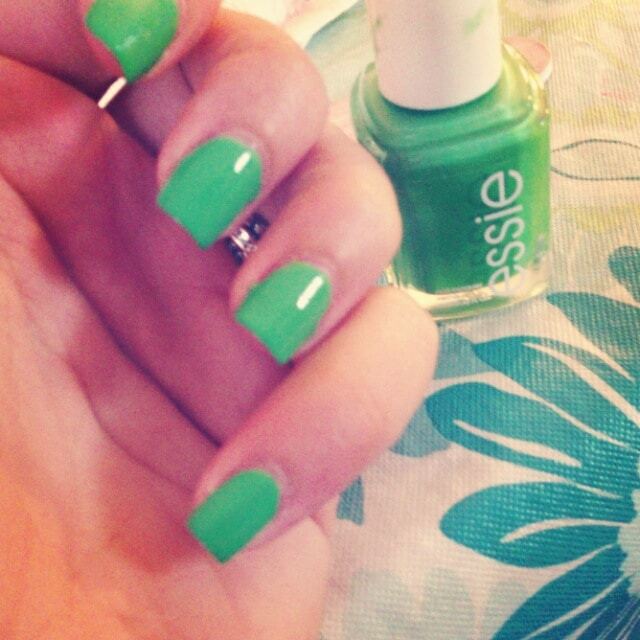 I started off with Essie’s Mojito Madness. It’s lime green and right up my alley. Yesterday, I was stopped TWICE while out with my family in NYC (more on that to come). So, I felt that the color deserved its own post. Do you have fun in the summer with color? Do you do your own nails? How often do you change your polish? I love green for summer. So Trendy!